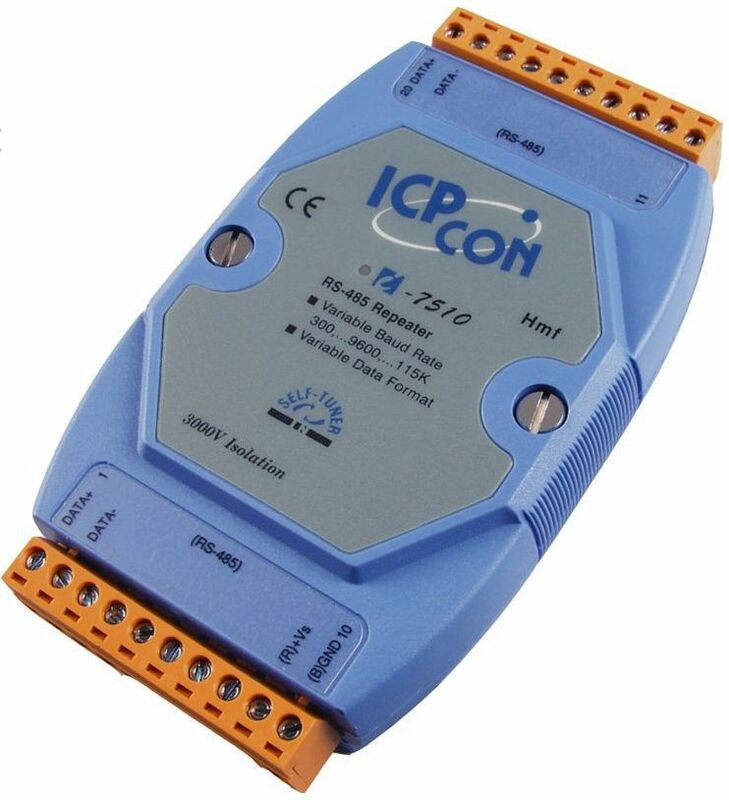 I-7510 is an isolated RS-485 repeater, while I-7510A and I-7510AR are isolated RS-422/485 repeaters. 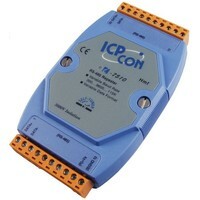 The main purpose of These devices is to providence an electrical isolation between a serial equipment equipped with a RS-422 or RS-485 interface, and the rest of the network, but They Can also be used to extend the transmission range of an existing serial network, or to overtake the node limitation Imposed by the RS-485 standard (up to 256 nodes). I-7510A and I-7510AR can at last be used as RS-422 to RS-485 converters. I-7510 and I-7510A providence an isolation stage on the input interface circuit (2 way isolation), while the isolation of I-7510AR is located on both the input and the output interface circuits (three way isolation), making I-7510AR Especially adapted for the most severe industrial environments. I-7510, I-7510A and I-7510AR can be mounted on DIN-Rail, and require a standard unregulated 10-30 VDC external power supply.